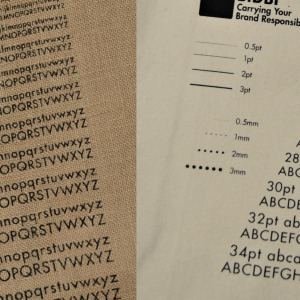 At BIDBI we make branded cotton canvas bags as an eco-friendly, fairly traded alternative to plastic carrier bags. High quality bags and award winning customer service are at the forefront of everything we do in order to help you maximise your brand. Our 100% natural cotton bags act as a sustainable marketing tool or ethical accessory for your business or event. For over 10 years we have been at the forefront of manufacturing and printing reusable cotton bags. Working with over 30,000 clients around the world ranging from local farm shops, design agencies and premium brands providing bags that will impress your clients or customers. We pride ourselves on delivering high quality printed products with industry leading and expert customer service. Browse our tote bag range and get your bags printed with your design, logo or branding. At BIDBI our passion is print and we love working with our customers to create cotton bags that promote your business and reflect your values as a brand. Our dedicated account managers and design team are experts in their field and are ready to work with you to develop your design. We stock a wide range of cotton and jute bags ranging from promotional cotton totes to heavyweight canvas shoppers. There’s a cotton bag to suit every need, whether it’s a promotional bag for an event, a drawstring bag to be used as product packaging, or jute bags that are ideal for storing food and drink. We also stock aprons, t-shirts and tea towels as part of our homewares range. Our products are expertly Printed in the UK using environmentally friendly materials and our products are sourced from a sustainable supply chain that doesn't compromise the welfare of its workers. We can also create completely custom cotton bags from scratch using our bespoke service. Working closely with our global partners we can help you create a unique, premium product for your business or brand with a huge amount of fabric, finishing and printing options available. If you have an idea for a bespoke project, get in touch with us to discuss your requirements and let us help you develop your ideas into a finished product that matches your brand. Last Few Remaining Get them before they're gone..